Patellofemoral Pain Syndrome (PFPS), sometimes also called “runner’s knee,” is one of the most common running injuries. 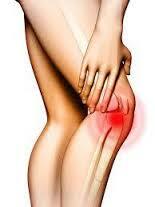 It is normally associated with a dull pain felt around or underneath the kneecap. Aggravating activities can include squatting, running (especially down a slope), sitting for prolonged periods, and descending stairs. Typically people with this condition have a muscle imbalance involving the hip abductors and external rotators which impacts running biomechanics, resulting in an inward drift of the knee. Literature suggests that a successful rehabilitation program should address these dysfunctions by including appropriate stabilising hip abductor, external rotator, and quadriceps strengthening exercises.